Route re-introduced - Sunday service joint with Route 247 hence NS allocation. MS North Street allocation introduced albeit ex 247. DA23 is displaying the CH code but the number is 271 which shows this bus was based at Barking (BK). Contract re-assigned to Harris Bus operated from a base at Manor Road - West Thurrock. Service passed temporarily to Blue Triangle although buses from Harris were used. This was due to the liquidation of Harris Bus. This Ipswich bus dates from July 1997 - Harris hired four (18 - 22 - 30 - 35) due to the slow delivery of their buses. When Blue Triangle operated the route in March/April 2000 it was with Harris Bus vehicles + Blue Triangle drivers. Contract passed to East Thames Buses operated from Ash Grove Garage. 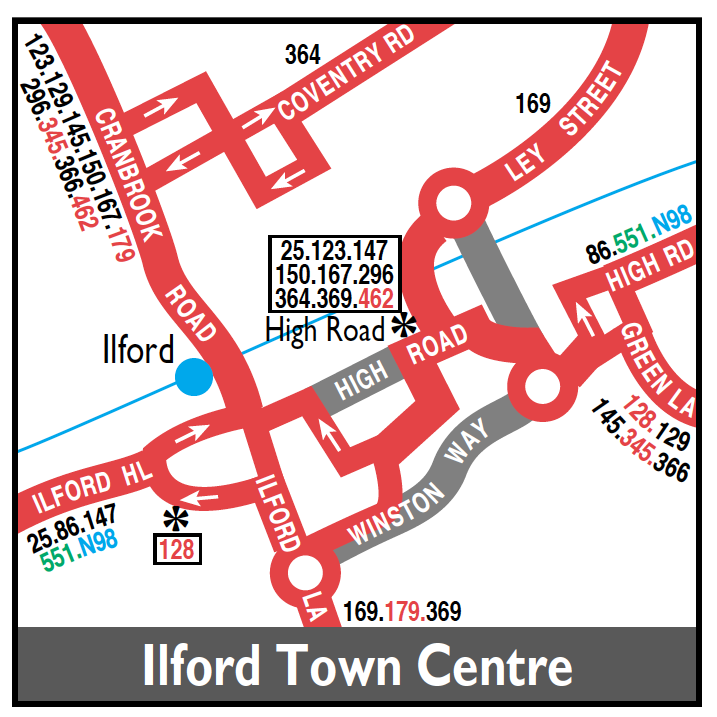 Extended from Ilford to Becontree Heath via withdrawn 129.